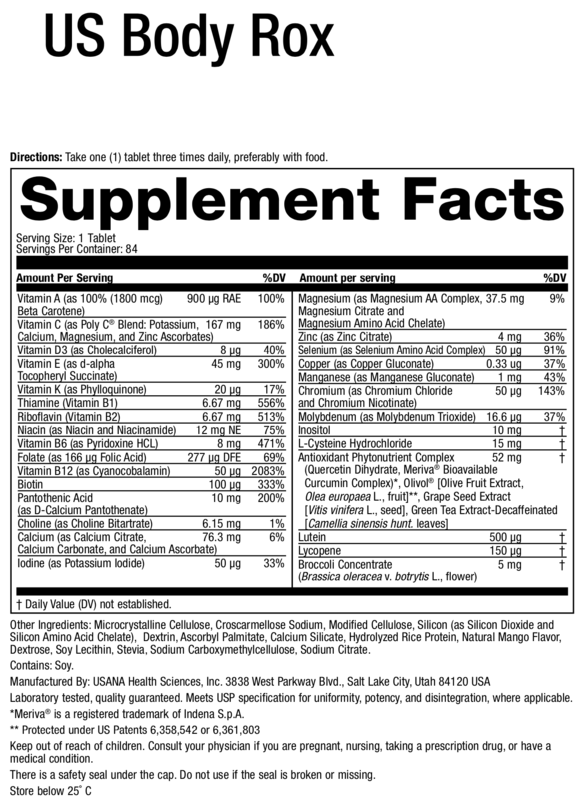 Complete daily vitamin, mineral, and antioxidant supplement for teenagers. Establishing healthy dietary habits that will last for a lifetime and getting optimal nutrition are especially important during adolescence and teenage years of growth, development, and physical maturation. 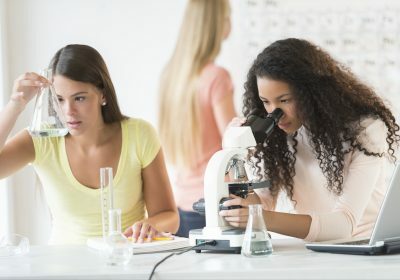 And while there is no substitute for a balanced diet, Body Rox is a convenient way to ensure that your teen is getting the nutrients he or she needs to perform at his or her mental and physical best every day. Additionally, healthy lifestyle habits and maintaining optimal levels of essential vitamins and minerals in the body help maintain overall health and keep the body’s immune system working as it should. Body Rox powers health with advanced levels of antioxidant vitamins A, E, and C, as well as a full complement of B vitamins, vitamin D, zinc, and selenium. Proper nutrition is the key to staying energized throughout the entire day. Body Rox is an exceptional formula to ensure teens are fulfilling their daily nutrient requirements. 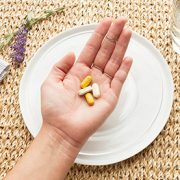 The B vitamins—especially B12, thiamin, and niacin—are essential for energy production because they help turn the foods we eat into useable fuel. Magnesium, copper, and zinc also help the body get the energy it needs by supporting nutrient metabolism. The ingredients in Body Rox also support the needs of young athletes. Antioxidants are helpful for handling increased free-radical production caused by intense exercise, and strong bones, proper muscle function, and a healthy heart all depend on calcium and many other minerals. Calcium assimilation, supported by vitamin K, during the developing years is also essential for bone health later in life. Vitamins C, D, and E play a role in respiratory and cardiovascular function. Protein metabolism—supported by riboflavin, folic acid, B6 and B12, and molybdenum—is essential for muscle tissue development. 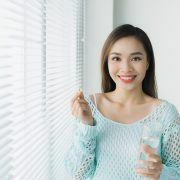 Vitamin C also plays a key role in synthesizing collagen—a structural protein that is a major component of connective tissue and muscle. In addition to helping the body, providing the brain with consistent levels of optimal nutrition will also keep it working at its best. Many B vitamins, including biotin, niacin, thiamin, and folate, are essential to healthy brain activity. A number of minerals, including manganese, are also needed to influence neural activity. Choline is involved in memory function. Some studies also suggest multivitamin/mineral supplementation has been beneficial for improvements in “mental tiredness” after complex tasks as well as in mood regulation, which is also controlled in the brain. Beta carotene (provitamin A) and carotenoids, such as lutein and lycopene, along with vitamins C and E, are all crucial for skin health. Zinc and copper play a role in protein structure, which can impact skin appearance. 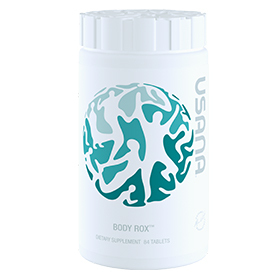 In three tablets a day, USANA’s Body Rox provides nutrients that adolescents and teens need to be their best every day. 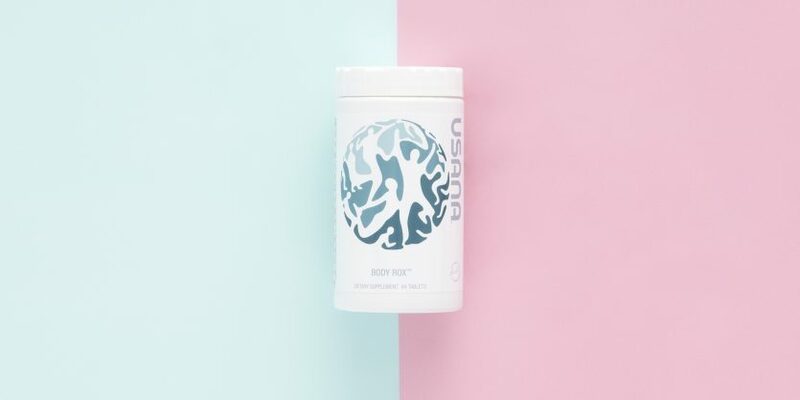 Only Body Rox offers USANA’s exclusive Antioxidant Phytonutrient Complex, which includes a special blend of antioxidant-rich phytonutrients, including our patented Olivol®, that defend the body’s cells from oxidative damage caused by pollution, stress, poor diets, and sunlight. It also contains a generous amount of vitamin D, which helps with the utilization of calcium in the bones. And a tasty fruit-flavored coating helps make swallowing each tablet just a little bit easier. Take one (1) tablet three times daily, preferably with food. Munoz KA, Krebs-Smith SM, Ballard-Barbash R, Cleveland LE. Food intakes of US children and adolescents compared with recommendations. 1997. Pediatrics 100(3 Pt 1):323-9. 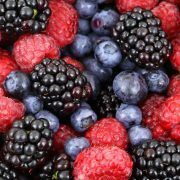 Packer L. Oxidants, antioxidant nutrients and the athlete. 1997. J Sports Sci 15(3):353-63. Zhang J, Stanley RA, Adaim A, Melton LD, Skinner MA. Free radical scavenging and cytoprotective activities of phenolic antioxidants. 2006. Mol Nutr Food Res 50:996-1005.